AFC - 08/31/16 ZeGeVege 2016 is here! On September 2 and 3 at the ZeGeVege Festival, besides many interesting things, there is a real opportunity to learn something new about both sustainable living and a vegan diet. Sustainable living is a way of life in which natural resources are used without violation of the environment, lives of animals or well-being of people. Such a way of life enables the long-term survival of both plant and animal species, biodiversity, natural harmony, and peaceful coexistence of living beings on the planet. 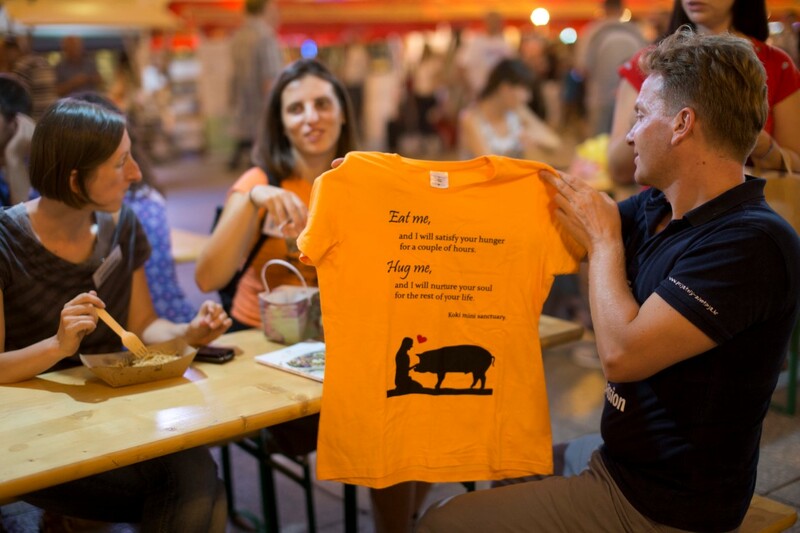 ZeGeVege is an educational festival, and Animal Friends association organizes it on a non-profit basis. 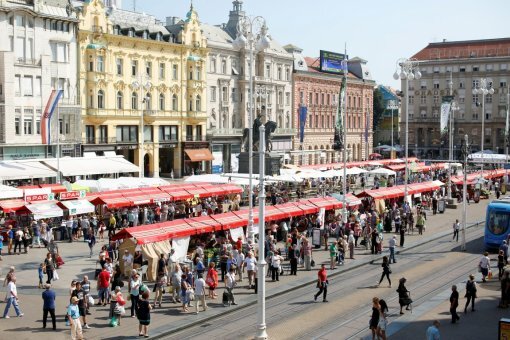 In the whole area around The Ban Jelacic Square there are more than one hundred exhibitions, six restaurants, a tent with lectures and workshops, and a stage with an all-day program. 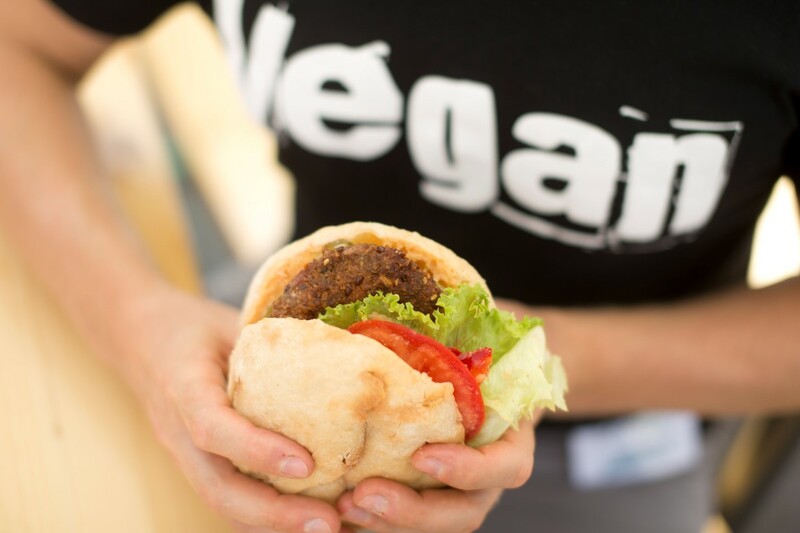 Along with marvelous vegan food, like cevaps, hempburgers, ghoulash, kebab, raw cakes and ice-cream, there's also the chance to try on cruelty-free shoes (made of non-animal products), as well as virtual reality technology. Out of the numerous lectures, we can highlight the nutritionist lecture about veganism during pregnancy and childhood, the lecture about the ecology and food interconnection, and the lecture about interconnections between veganism and feminism. At the workshops, one can learn how to prepare delicious pancake meals without eggs, raw cakes, and the like. The visitors can also expect a vegan make-up station and a prize contest. In addition, vegan condoms will be distributed! The number of vegetarians and vegans is incessantly growing -- there are more than 160,000 of those who eat that way, including a great majority of citizens who support this rising movement, and, of course, love to eat a satisfying vegan meal. Given that many public institutions still don't provide vegan meals for those requesting them, visitors will be able to sign a petition and push for greater human rights. 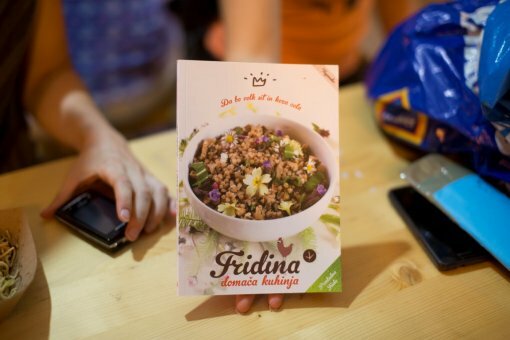 Many associations with business related to sustainable living will be represented at ZeGeVege Festival, and each visitor will leave with a brochure with recipes and useful, interesting information. ZeGeVege Festival has exceptional support from a number of institutions. 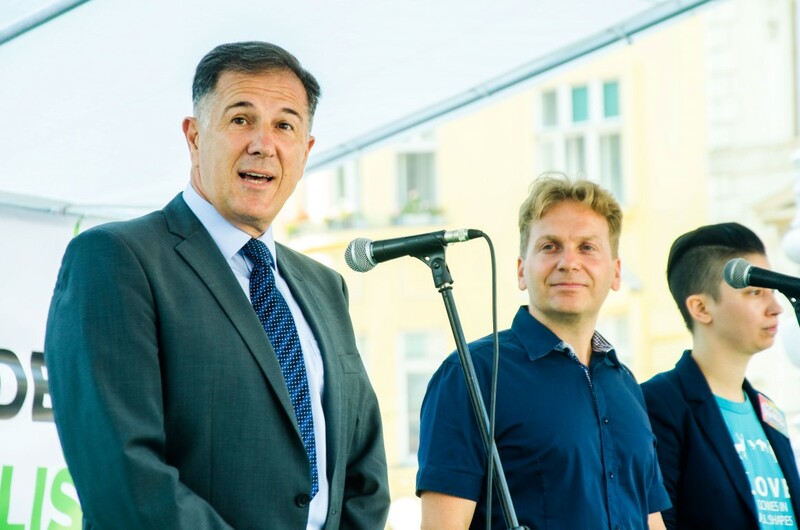 For example, the minister of agriculture, Davor Romic, will be at the Festival on September 2nd to greet all the visitors. Other representatives include: Diana Topcic Rosenberg on behalf of The Ministry of Social Policy and Youth, Irina Zupan, Deputy Minister of the Environment and Nature Protection, Jelena Pavicic Vukicevic, Vice-President of the Zagreb City Assembly, Gordana Duvnjak and Maja Drazic on behalf of Croatian Agricultural Agency, Emil Tuk on behalf of City Department for Agriculture and Forestry, Marijan Maras, Head of the Department of Energy, Environment and Sustainable Development, Sandra Sikic, Deputy Director of Public Health, Maja Filipovic, Secretary of the Committee for Environmental Protection and Nature, Janja Zic in front of the Office of the Croatian Chamber of Crafts. 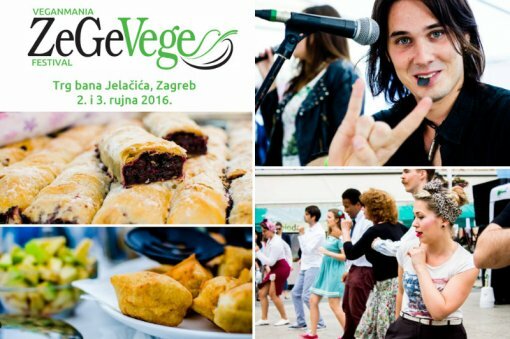 ZeGeVege Festival will be held as a part of the International Festival Veganmania. The ZeGeVege Festival is sponsored by: Croatian president - Kolinda Grabar-Kitarovic, Zagreb City Mayor - Milan Bandic, Croatian Parliament - The Committee for Environmental Protection and Nature, Ministry of Agriculture, Ministry of Tourism, Ministry of Environment and Nature, City Department for Agriculture and Forestry, and Teaching Institute for Public Health "Dr. Andrija Stampar". Support to this year's festival is given by: Office of the President of Croatia, Ministry of Agriculture, Ministry of Tourism, The Ministry of Social Policy, Croatian Institute for Public Health, Office of the Mayor Milan Bandic, Department of Health, Fund for Environmental Protection and Energy Efficiency, Croatian Chamber of Commerce - Tourism Department, City Office for Economy, Labour and Entrepreneurship, Environmental Protection Agency, the Croatian Agricultural Agency, City Department of Agriculture and Forestry, City Office for Energy, Environment and Sustainable Development and the Zagreb Tourist Board. General sponsor of the 9th ZeGeVege Festival: Spar Croatia (Veggie Spar). Sponsoring exhibitor of the 9th ZeGeVege Festival: bio&bio trade. Exhibitors of the 9th ZeGeVege Festival: Green Point, Sana delikatese, dm-drogerie markt (dmBio, Alverde), Planetopija, OPG Silvija Miklec, Krezubi krokodil, Konoplja & Co., Ver Vita / Zdrawi kutak, Labud, Spar Hrvatska, POSTIRA agricultural cooperatives, BiJoLada, Danica Stosic, Organica Vita, Gavita, Talon vert, Nutrimedica, AWT International, OPG Kalic Zvonimir, BioROOT, Tvornica zdrave hrane, Art of Juice, Free From, Priroda i drustvo, Gelati d'Oro, Advent, Gala Natura, Social cooperative Kora, Enzita, OPG Zeljko Ilicic, OPG Klobucar, Makam Naturkost, Eko hiza, OPG Ivana Rozic, Vegehop, Greencajg / Sretno zeleno, Vege&Dobro / Tvornica srece, Planet Ayurveda, Emmi-pet / Emmi Ultrasonic, Eco-Ethno Association Terra Magnifica, Drveni kutak, Zelena akcija, OPG Cizmek Ljubica, OPG Branko Cegec, Slovenian Vegan Society, Freedom for Animals, Biodar, Loving Hut Ljubljana Center, The International Foundation Gabriele, Glas zivotinja, Plemeniti Mediji, Lifeenergy, Annapurna, Vestigium Association, Bokun, OPG Ira Branilovic, Eko OPG Hujic, OPG Aralica / Divlji cvit, Greenpeace, OPG Jakopovic, OPG Anto Juric, Vegetariana, OPG Franjo Finta, Bruna natürlich Eis, Veterans Association ARKA NASA (Natural cosmetics Qala, Prirodni enzimi, Orascic Raw, B&I delikatese, Volim ljuto, Alpinosi, Super Danko, people2people and Arka delicaacies), OPG Zlata Nanic, Zrno eco-estate, OPG Veselic, OPG Lovro Lenac, Bormax, "Ivica i Zeljka" / OPG Zeljka Rospacher, First In The Raw - Nut Bars, OPG Kralj, OPG Marija Mudric, Eko kutak, Melli Aromatica, Raw Food, Food Harmony (Harmony program), OPG Jankovic, OPG Dora Dujmovic, Urtekram, The Restaurant Nishta, I Like Tofu Slovenia / Avokado, OPG Elizabeta Kelecic, Oatly, Shelter for Abandoned Animals of the Zagreb City, OPG Oreskovic, OPG Branko Kovacic, Udruga Pobjede, Encian, Alpro, OPG Paulik, Social Cooperative Humana Nova, Sattva Association for the Promotion of Ayurveda and Vegetarianism, OPG Cajzler Dragica, OPG Pesa Marija, Vege Fino fast food restaurant, OPG Selanac, CannaBio, Mrkvica Association, Sapunoteka, OPG Pereglin Tomislav, Jupiter Project, SMID - Mirjana Strancaric, OPG Brolich, OPG Andreja Petrovic, Double Rainbow and Vegefino The Cyclist Union, Animal Friends and Quarnero (Glyde). Performers of the 9th ZeGeVege Festival: Detour, U pol' 9 kod Sabe, TransForm Crew, Atomic Dance Factory, Lorena Jelusic & Bruno Jelusic, Juraj Jurlina acoustic, Zumba Fitness by Jelena Diklic, Kim Verson, School of Street Styles, a children's choir Kikici, and a teen group Genijalci, Back to Swing, Vedran Petrak/gong, Mofit, Antonio Bajic (acoustics) and IFEEL. 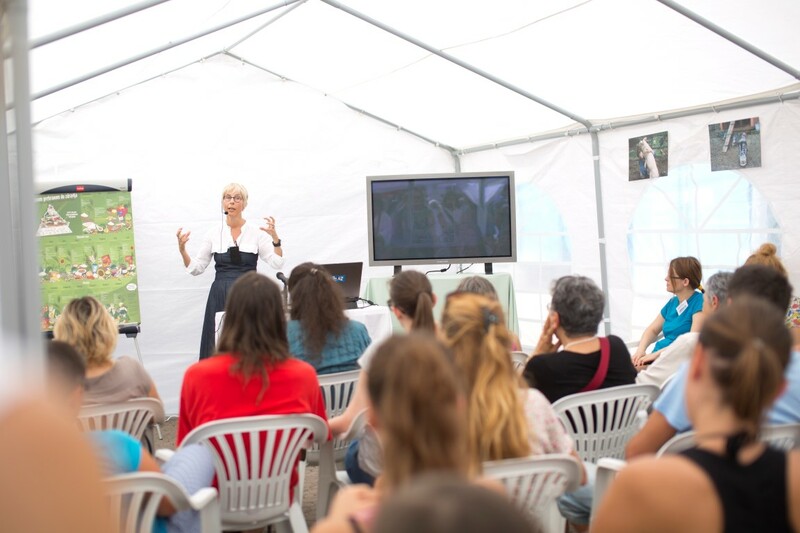 Lecturers of the 9th ZeGeVege Festival: Nikolina Plenar, mster nutritionist Ivana Simic, Vesna Sirovina (Melli Aromatica), Vladimira Vlatka Frketic (Makronova), Tatjana Zajec, Jelena Tomasevic, Snezana Milovanovic (Freedom for Animals), Gordana Dragicevic (Parkticipacija & Croatian permaculture), Collective Sjemencice, Ivana Rukavina and Mislav Skrepnik, Ksenija V. Kutlacic (Koki Shelter), Anita Euschen, phD. Lada Cale Feldman, Mihaela Devescovi, Tamara Dabic (Makronova), Irena Miksic, Marina Milkovic, Irina Jurinac (Zdravljak), Vedran Romac and Udruga Pobjede. Sponsors of the 9th ZeGeVege Festival: Meridian – media evaluation, VegFund, B1 showbills, Fructal, Europlakat, Arto, Cetina, Chillout Hostel Zagreb, Zale, Avalon. Friends of the 9th ZeGeVege Festival: Inki Dinki, ZVRK - transporti Mladen Zenko and brewery Pinta. 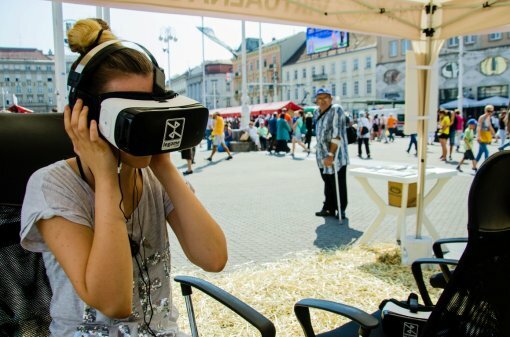 Media sponsors of the 9th ZeGeVege Festival: Turist plus, Znano.st, Medikus, Klokanica, Gastro, Budi in, Mrsavimo zajedno Club, 24 sata, Zdrava krava, Poljoprivredna TV, Zdrawi Kutak, Radio Student, Drugacija TV, Croatia week, Punkufer, Centar Zdravlja, Atma, naturala.hr, Nexus SVJETLOST, Zena.hr, Radio Sunce, Perun.hr, Kamo na izlet?, Kvarner News, Zdrava televizija, Burza hrane, Djecji događaji, Modni izazovi, Metro, Kreni zdravo, Drumtidam, H-alter.org, Fresh.hr, E-Zadar, Scena.hr, Radio Martin.